Enrol in a RSA near you! Our RSA courses begin from $55 for 4 hours, Study in Melbourne CBD, Northcote, St.Kilda or North Melbourne. iTFE’s extensive range of hospitality short courses will get you job ready with the essential skills to work anywhere, at the local pub or café, to top international restaurants around the world. Learn how to make the perfect coffee with our Barista courses, mix a mean cocktail, manage a gambling floor, work confidently behind a bar with our Bar Operations and RSA courses, serve food in a local café, or provide silver service in an internationally renowned restaurant. With iTFE’s industry-experienced trainers and our impressive range of hospitality courses held in state-of-the-art facilities, you’ll be ready to start your future, today. Planning on working in a bar or hotel? You'll need a Responsible Service of Alcohol (RSA) certificate. iTFE runs RSA courses in Melbourne, Northcote and North Melbourne. Enrol now. iTFE's Food Safety Handler (FSH) course is a must for anyone looking to start work in the hospitality industry. This nationally accredited course is the most effective entry-level course for basic food hygiene procedures. Food Safety Handler courses are held weekly at iTFE's Melbourne CBD, Northcote and North Melbourne training campus plus we also offer the course online. Every food business in New South Wales must have a food safety supervisor. This course combines two units of competency; the Food Safety Handler (FSH) course and the Food Safety Supervisor (FSS) This course can be completed online with certification within 24 hours. Every food business in Victoria must have a food safety supervisor. This course includes the unit of competency SITXFSA002 Participate in Safe Food Handling Practices - Food Safety Supervisor (FSS) course in a convenient one-day study period. Enrol in this course now in our Melbourne training centre or complete the course online. iTFE's Barista Basic / Barista Coffee course will have you mastering the basics and some of the crucial theory involved in making the perfect espresso coffee. 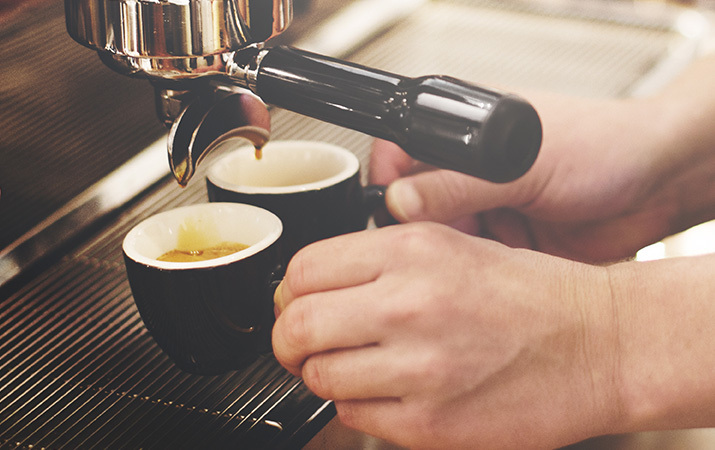 iTFE's Barista course runs a couple of times a week at our Melbourne training centres. Want to become Australia's next top barista? iTFE's Barista Coffee course will teach you coffee art, advanced efficiency techniques, new types of espresso coffee and give you an understanding of coffee roasting methods. Barista Coffee level 2 course held weekly at our Melbourne training centres. This program incorporates the two essential components you need as a must have for anyone looking to start work in the hospitality services industry in a convenient one-day program. Need a course refresher or missing some essential skills required to work in the Hospitality Industry? Enrol in our Hospitality Essentials Program today to save 15% off our normal individual prices. Applying for a liquor licence or transferring an existing licence? Completing a Victorian Licensee's Training Course is a must. iTFE is approved by the VCGLR to deliver the Victorian Licensee's Training Course throughout Victoria. Courses held weekly in our Melbourne training centre. Prepare yourself for working behind a bar with skills and tips from Industry professionals, so that you will impress both management and customers alike. iTFE's Bar Operations course are held at our North Melbourne training centre. Set yourself apart from the competition with our Australia Hospitality Industry inspired professional waiter course. Developed by industry professionals this course is designed to increase participants confidence and skills within the hospitality sector. Our Professional Waiter course run weekly at our Melbourne training centre. Cocktail Preparation and Service Course is designed for people looking to enter the hospitality industry with a thorough understanding of mixing and serving cocktails. This course is held at our North Melbourne training facility. The Licensee training courses have been developed to provide greater support and to ensure you are better prepared for the challenges of operating a licensed business. This training course is a mandatory requirement for all owners and management staff involved in the serving of liquor in NSW which extends to Pubs, Clubs, Bars, Hotels, Bottle Shops, Restaurants and Cafes. Advanced Licensee training is an additional course for those who may operate a business in a higher risk environment, such as businesses authorised to trade after midnight. Applicants must complete NSW Licensee Training prior to commencement. Ready to start your future in hospitality, as a cook or as a pastry chef? Learn in iTFE’s hospitality training centre with front-of-house and commercial kitchen facilities. 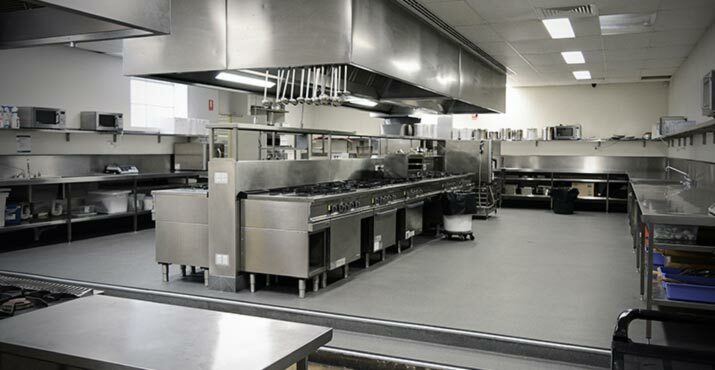 Our professional kitchen facilities are fully equipped with industry standard appliances and are located near the Queen Victoria Market. Experience training opportunities in a real kitchen environment and be ready to start your future, today.